Since the beginning of time, gemstones have proven to be one of mankind’s most coveted possessions and taken centre stage amongst the collections of Kings and Queens worldwide. Hardness, rarity and beauty are the three essential qualities of a gem and it is no surprise that gems which bear these qualities have continued to appreciate in value and are now coveted today more than ever. Diamond, ruby, sapphire and emerald of fine quality have traditionally been considered the preferred investment stones and have seen strong growth in recent years. A gemstone’s value is directly related to its rarity and as gemstone mines become depleted, supply for that mine’s gemstone is often unable to keep up with demand. History has shown this to be the cause of the highest price increases in the gemstone market. Julian Bartrom services New Zealand, Australian, Canada and the World, supplying gemstone investments, individually tailored to your specific requirements. Choose from one of New Zealand’s finest selection of Royal blue sapphires and gemstones; carefully hand-picked from the furthest corners of the earth. 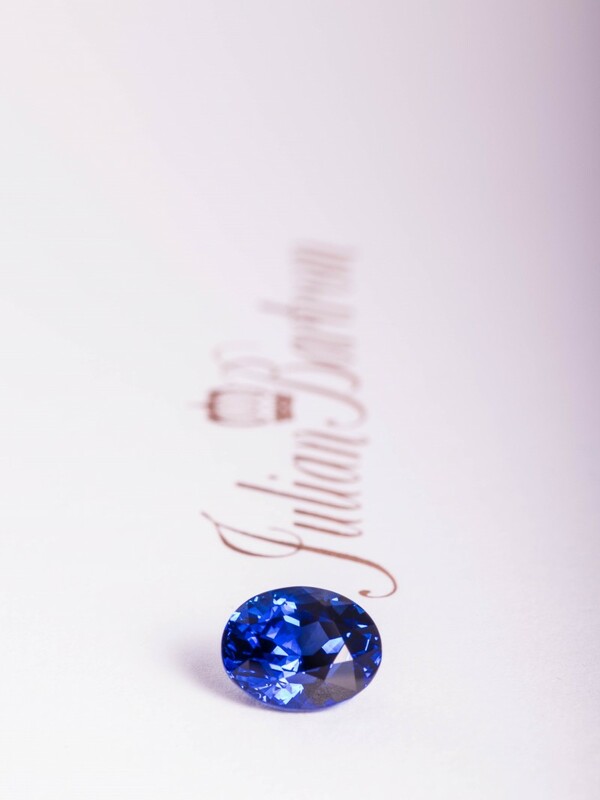 At the Julian Bartrom Studio, you will be shown the characteristics that make a gemstone sparkle and glint and the colours that make a gemstone most prized. This is your opportunity to find a precious gem that is unique and perfect. 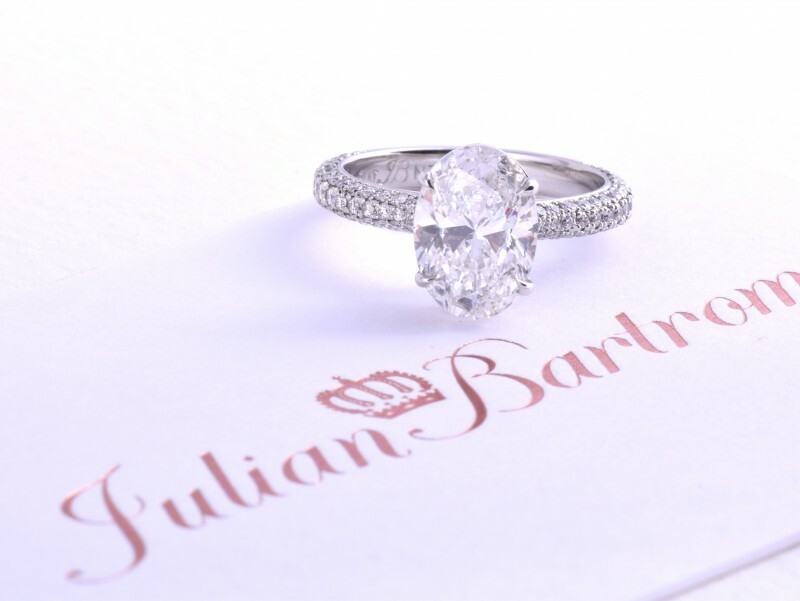 Julian Bartrom is curricular importing GIA certified diamonds. This is an opportunity to have GIA trained Diamond Grader Julian Bartrom source the perfect stone for you and bring it back to Auckland for your inspection. Make an appointment to meet with Julian to discuss your requirement. You can tell a fine quality stone when you see one but it pays to know a bit about what makes one stone nicer than the rest. Flawless to the unaided eye is a must but craftsmanship of cut would have to be the single most important and underrated factor for all stones. Cut makes it twinkle and glint and perfectly cut stones are mathematically designed in accordance with the angles by which the light reflects within that specific variety of gemstone. As you move the stone, the light should reflect and refract like a perfectly timed visual orchestra, returning the light back to the viewer in a seamless display of scintillation. 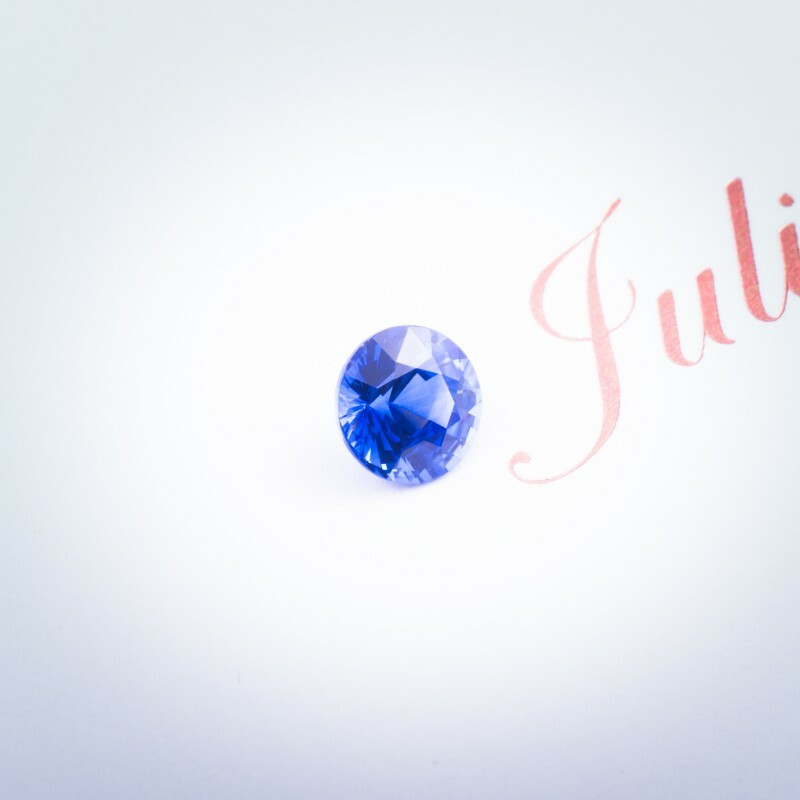 With Julian’s wealth of knowledge and experience, there is no better chance to find your perfect diamond than now! Make an appointment to meet with Julian. 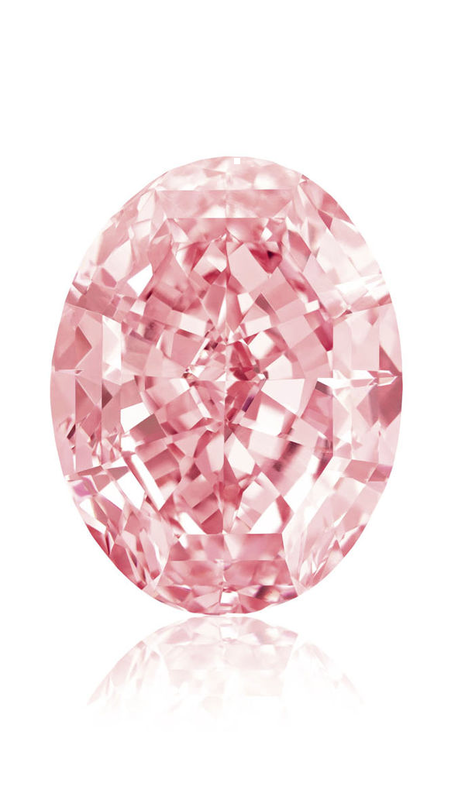 Julian Bartrom reveals valuable buying tips for the most coveted gem on earth. 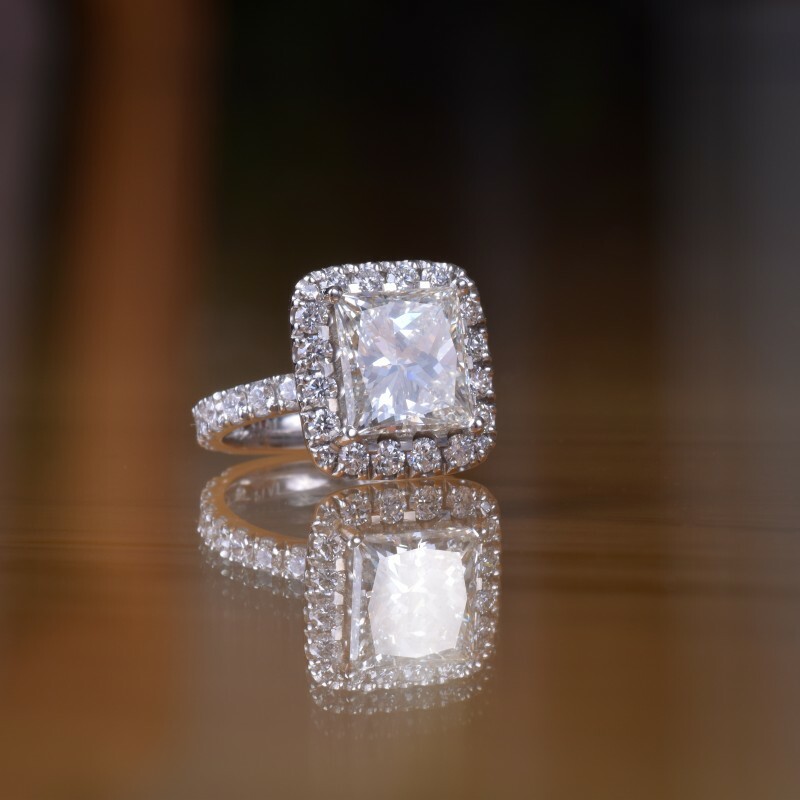 First time buyers in the diamond market find it fascinating when they start to see the individual beauty of each stone and recognise the characteristics that make it so. I have a bespoke jewellery business, have qualified with the Gemological Institute of America (GIA) and I love diamonds. Recently I realised that my love for gems probably came from a childhood crystal collection that my parents encouraged me to acquire as an alternative to spending my money on ice cream. Since a reunion with my collection 12 years ago it’s now larger than ever and designed to meet the requirements of a discerning clientele. Twice a year I make the trip to buy gems at an international precious gemstone trade fair like Hong Kong’s, to pick and choose from among the finest stones available. Everybody’s bought an electronic device with a model number to categorise it but diamonds are much more interesting than that. Every diamond is so different and reading it’s GIA certificate is only your first step toward understanding its grade of perfection. So never buy a diamond for its good certificate alone; there could be 20 diamonds listed with identical certificates but each stone will have its own unique characteristics and they could range in price by as much as 45%. 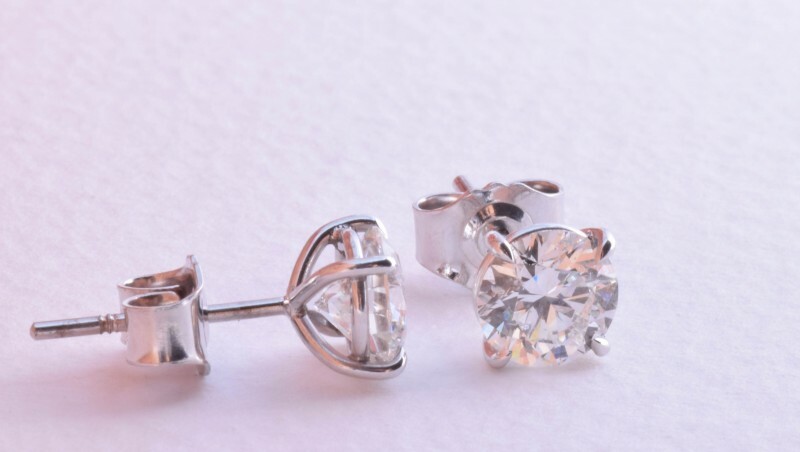 My most important buying suggestion is to take a good close look at the stone in natural daylight and start to see what purely colourless, even scintillation and flawless clarity really look like. I encourage clients to clean any smudges off the stone and use magnification because it’s with 10x magnification that they are graded. Diamonds are bought and sold on the US dollar so when our dollar’s up it’s a good time to buy. Also, in recent years global diamond prices have been falling to the tune of about 20% and I think it’s about time. I love making this desirable gem available to clients and now larger diamonds are no longer so far out of reach. The price drop isn’t good news for everybody though as some merchants have been forced to sell their stock for less than they bought it and it has caused some companies to fold. About 90% of all diamonds are cut in Mumbai and most of the nicer quality diamonds are purchased by New York merchants. We like using US merchants because many have also trained with the GIA, their quality is high and the price is right, but most of all because they’re required to trade with more consideration for human rights than any other country, most notably being their refusal to trade in diamonds from Zimbabwe where the Marange mine holds a terrible reputation. The rest of Africa is often thrown into the dog box with Zimbabwe, however a lot has changed in the last ten years and programs like Beneficiation are turning the diamond industry into a huge source of pride and income for the African people. With knowledge comes appreciation, and nothing speaks with more eloquence than a diamond viewed in person. 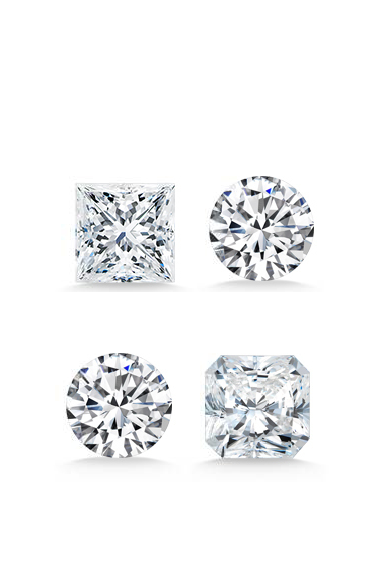 When given the opportunity to make true comparisons, there will always be one sparkling diamond that stands out from the rest. See article in Verve here. Just back from my second buying trip to the world famous gem trade fair in Hong Kong, I have with me our largest new selection of precious gemstones ever. Aquamarine, rubellite, pink and yellow diamond and royal blue round sapphire. The world is currently in the middle of a broken-jewellery pandemic. Until a short time ago, my workshop was inundated with repairs and it was taking us away from what we do best; making good quality bespoke jewellery. Today as our way of addressing this global problem, we’ve decided to stop taking in jewellery for repair and focus our attention on making new jewellery that lasts. 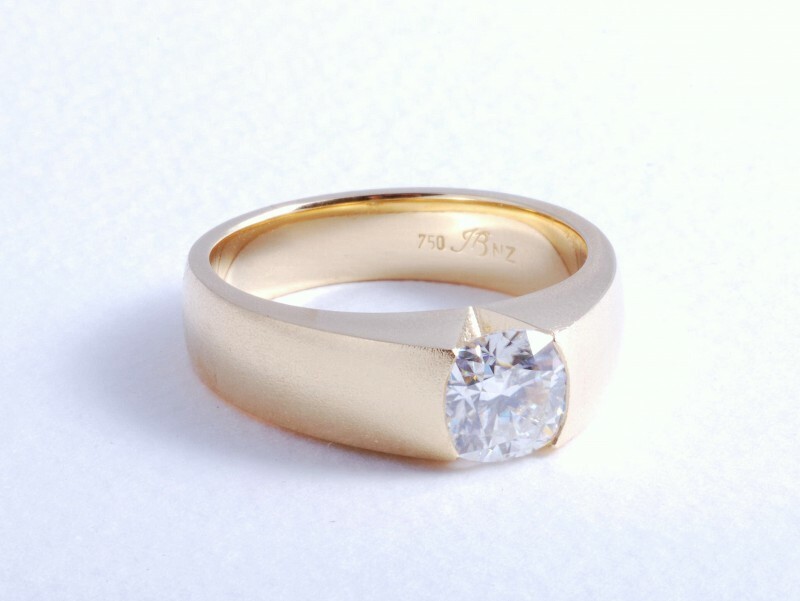 It doesn’t need to be chunky to last, in fact we often design with the objective of minimising the gold or platinum that’s seen and allow the focus to lay on the stones alone, but getting the right thicknesses is paramount and balance is a must. 2.63ct princess cut diamond in platinum. 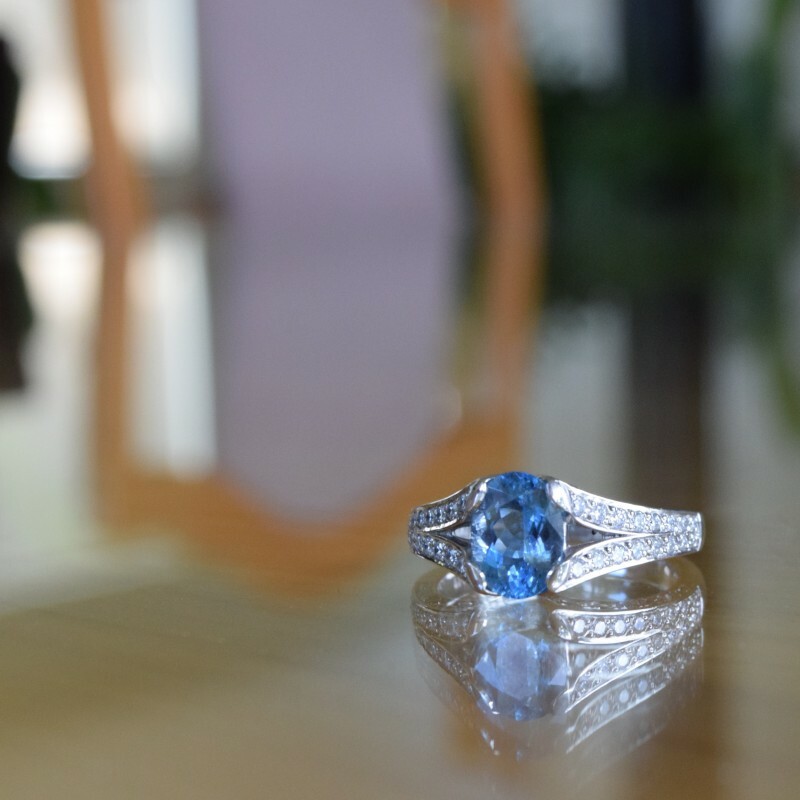 An aquamarine and diamond ring makes for great table talk. 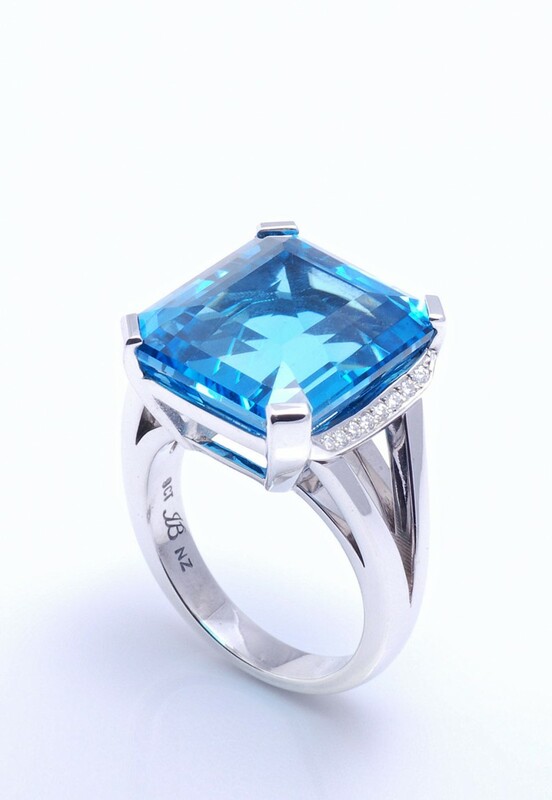 Light blue at it’s finest, this aquamarine has it all, brilliance, colour and held up in a diamond ring made in platinum. 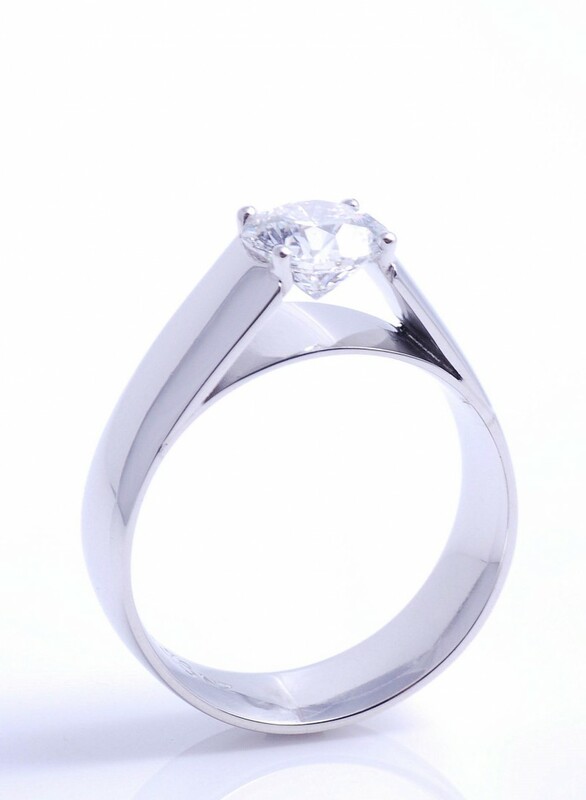 Look closely and you’ll see diamonds on the sides, see here to view the ring from all sides. With great pleasure I would like to introduce our still young but strong Instagram page, where our more casual and broadly topical photos are periodically posted as a way of sharing our latest style developments and innovations. “Why do some pieces end up being absolute favourites, yet you sense it’s not all about the beauty of the bauble? There’s something more. Whether it’s the setting, the stone or the spiritual aspects, what jewellery caters to is our intrinsic needs…and who stocks it in Auckland? 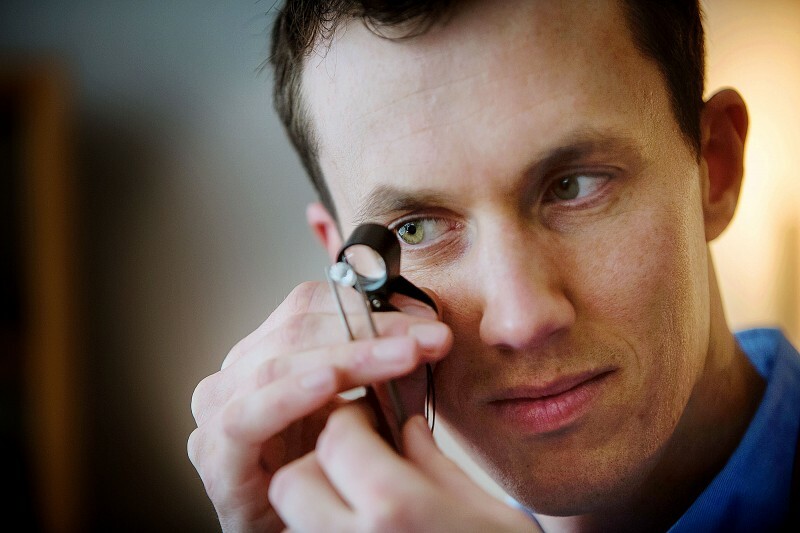 Our local equivalent of Harry Winston, Julian is a bespoke jeweller and qualified gemmologist. His connection with soulful jewellery began when a piece sparked his career path at 16. “I was given a gold chain and I still wear it to this day,” he says. Whether it’s the jeweller, the sentimental stone choice, the process in making it, who gave the gift, where they brought it from, what the occasion was, what achievement, or what the milestone was – it all adds up to why a piece of jewellery has soul Julian believes. You sense there is a bit of magic involved in turning a concept on paper into reality and a three dimensional object. 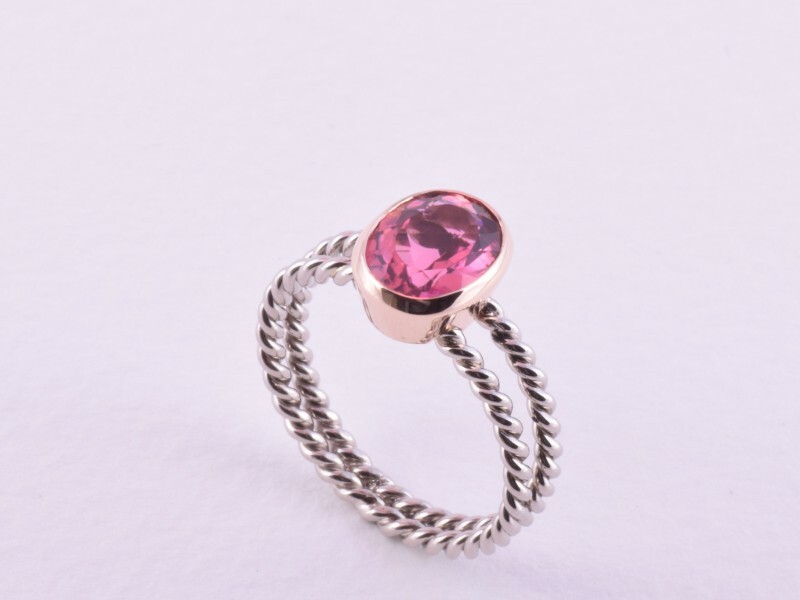 For a gem with that perfect dusky pink hue and a casual twinkle that makes you look twice, think about Pink Tourmaline. This mid price gem, also know as Rubellite, is one that we have a nice collection of………..
Last month I snuck away on a gem buying trip to Hong Kong, to a week long Fair where gem miners and gem cutters from all parts of the world meet to trade gems. I found myself in a hive of activity, with gemstones that would exceed your wildest expectations and I was able to pick and choose from a selection of stones that are like none others. 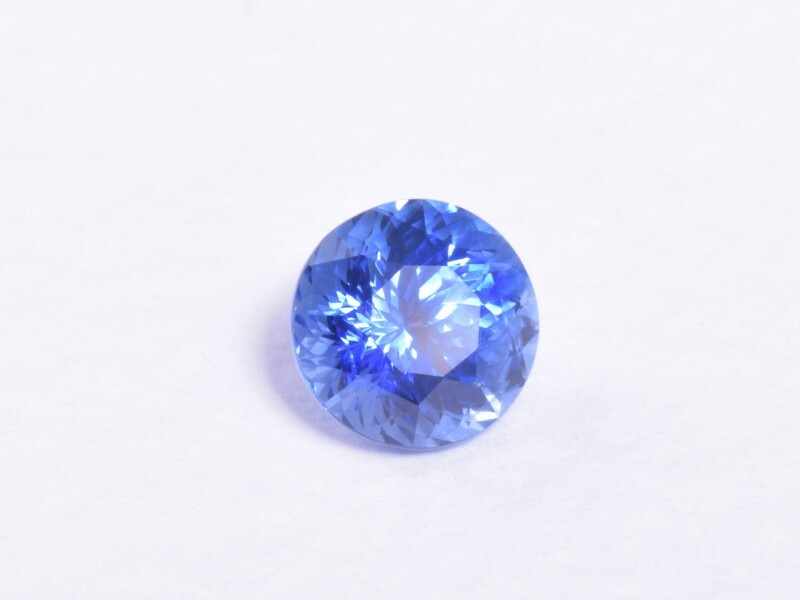 One example is this fine 1.4ct flower cut sapphire from Ceylon. Gun Metal Gold, a specialty of the Julian Bartrom workshop, is known for its dark tone and solid indestructible colour. 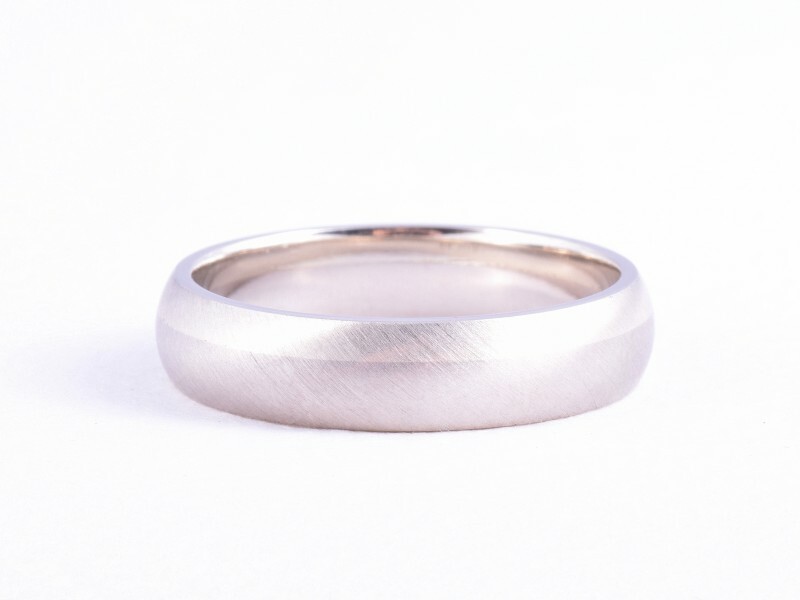 This gent’s wedding ring, designed with white gold for contrast, was hand made by Julian Bartrom. 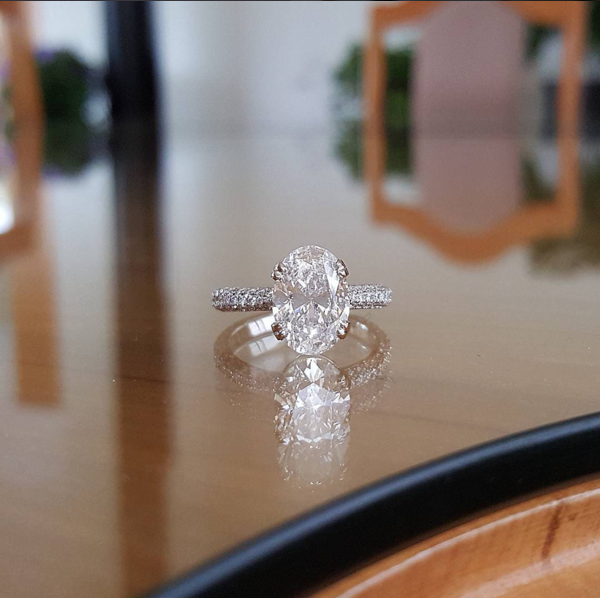 With careful thought and design that focuses on light refraction, this recent creation was custom designed to exhibit the gemstone and allow it to shine and be appreciated from three sides. “Catch the light, turn a head, win a smile. This is the meaning of life,” said the Diamond.